By comparison, MP4 is more popular and widely used. MP4 format is supported by most popular portable devices, players and some video sharing sites. Therefore, it is quite clear that converting DV to MP4 is an ideal choice for DV files free playback. How to Convert DV to MP4? In order to convert DV files to MP4, a professional DV to MP4 Converter and a step by step instruction of converting DV to MP4 is badly needed. 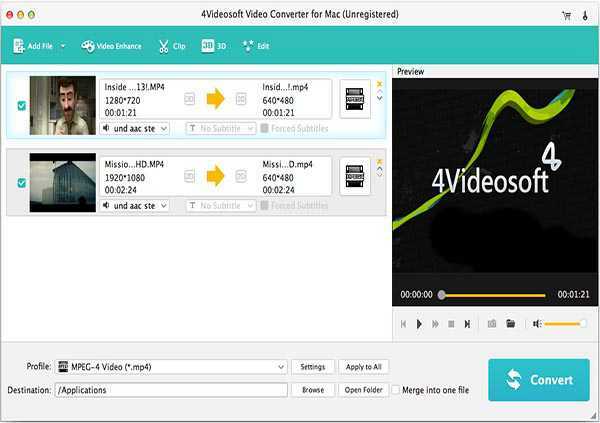 So here comes the wonderful DV to MP4 Converter for Mac and Windows users. With it, you will never be troubled by DV to MP4 converting issues. Convert DV files to MP4 to play DV in iPad, iPhone, iPod, Apple Watch etc. Convert DV to MP4 for playback in iTunes, QuickTime, Apple TV etc. Begin converting DV to MP4 to enjoy DV in WMP, VLC and more players. Convert DV videos to MP4 to open DV files in Android phones, BlackBerry, Xbox, PS4, Windows phones, and Samsung phones and so on. Edit DV in iMovie, Sony Vegas etc. for more personal customizations. Burn DV videos or upload DV files to video sharing sites for fun. DV to MP4 File Converter has support for all DV file converting like convert DV to any format like convert MP4 to DV, convert AVI to DV and so on or convert any format to DV like convert MTS to DV, convert HDV to DV etc. Powerful Converter: Convert among popular video audio formats with good user experience like convert Xvid to MP4, convert BDMV to MP4, convert ASF to MP3 etc. Video Editor: trim, crop, merge, rotate, add effect/subtitle/watermark/background music, change audio channel, adjust volume/bitrate, remove subtitle, add 3D effects, enhance videos, remove noise and more. Free download DV to MP4 Converter (For Windows, For Mac) to your computer. Run it to get started. Click “Add File” button to import DV videos to the software. You can also drag or drop DV files to the interface of the software. Click “Profile” drop-down button and choose MP4 as the format. To convert among other video audio formats, load the files to the software and choose the output format from “Profile”. Note: To do some editing, go to “Clip” “Rotate” “3D” “Video Enhance” “Edit” “Settings…” button to do it. Click “Convert” button to convert DV files to MP4. (1) What is DV Format? A DV format is often used to store digital video. Videos with .dv extension is lossy and compressed while the audio is stored uncompressed. DV files are most from Sony cameras, Panasonic cameras, JVC recorders etc. (2) What is MP4 Format? MP4 is a universal video format in video and audio filed. There are several types of MP4 format: normal MP4, HD MP4, 4K MP4 etc. Don’t you think it is easy to convert DV to MP4 for PC or Mac users? Why not try DV to MP4 Converter to start enjoying right now? 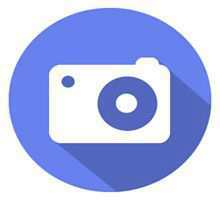 This entry was posted in Videos and tagged convert dv files to mp4, convert dv to mp4, converting dv to mp4, dv to mp4, dv to mp4 converter, dv to mp4 mac, dv to mp4 windows, how to convert dv to mp4. Bookmark the permalink.